Australian Shepherds: What's Good About 'Em? What's Bad About 'Em? Australian Shepherds: the most honest dog breed review you'll ever find about Australian Shepherd temperament, personality, and behavior. Australian Shepherds are quite variable in temperament. Some lines are extremely energetic, quick moving, and hyperreactive, while others tend toward a milder, calmer manner. Yet all Australian Shepherds need a great deal of physical exercise and mental stimulation. Herding, advanced obedience, agility, jogging or biking, chasing balls, and playing Frisbee are constructive outlets for their enthusiasm. Boredom is the leading cause of destructive behavior and barking. Australian Shepherds are demanding of time and attention and want to be with you constantly. They are polite to aloof with strangers. There is timidity in some lines, and early socialization is important to avoid shyness or sharpness. 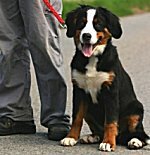 Some Australian Shepherds are dominant with other dogs and will chase cats, while others are good-natured with all creatures. One of the most capable breeds in all of dogdom, the Australian Shepherd excels at the highest levels of competition. Yet some are more challenging to train than others. The Miniature Australian Shepherd is exactly as its name implies: a small Aussie. Miniature Australian Shepherds can sometimes get by with less physical exercise than their full-size brothers, but need just as much mental stimulation. An Australian Shepherd may be right for you. An Australian Shepherd may not be right for you. 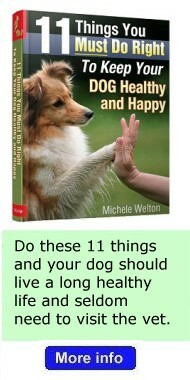 Finally, you can avoid some negative traits by training your Australian Shepherd to respect you and by following the 11-step care program in my book, 11 Things You Must Do Right To Keep Your Dog Healthy and Happy. Providing enough exercise and mental stimulation. Australian Shepherds were bred to be working dogs – not simply pets to hang around the house or backyard. Too many people acquire this breed because of its athletic prowess and intelligence, but don't provide enough opportunities for the dog to vent his energy and do interesting things. Bored Australian Shepherds express their frustration by barking and destructive chewing. If you want an easy-to-live-with pet who doesn't need much exercise and sleeps on the couch most of the day, this is not the breed for you. 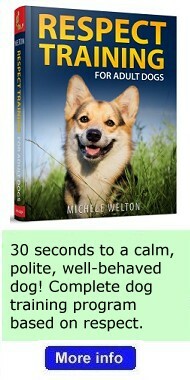 Unless you adopt an adult Aussie whose temperament is obviously mellow – yes, some Aussies are more mellow. 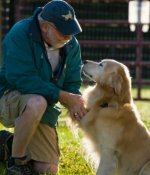 But most want to run and hike and swim and play fetch games and participate in herding, or agility (obstacle course), or advanced obedience, or tracking, or a similar canine activity. Providing enough socialization. Australian Shepherds need extensive exposure to people and to unusual sights and sounds. Otherwise their natural caution can become suspicion or shyness. Mind of his own. Some Australian Shepherds are exceptionally eager to please, while others are definitely not. 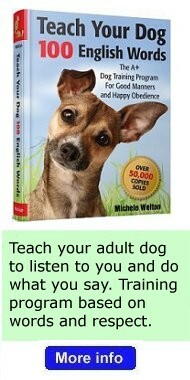 Some Aussies, especially females, can be manipulative and are smart enough to figure out how to get what they want. Some are stubborn and dominant (they want to be the boss) and will make you prove that you can make them do things. To teach your Aussie to listen to you, "Respect Training" is mandatory. 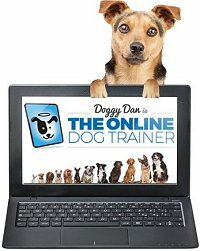 My Australian Shepherd Training Page discusses the program you need. Grooming and shedding. Australian Shepherds shed heavily and require regular brushing and combing to keep mats and tangles under control. Some Aussies have shorter, easier-care coats than others. Those with a lot of feathering need more maintenance. Potential health problems. From hip problems to eye problems to skin and allergy problems, Australian Shepherds can be risky in the health department. 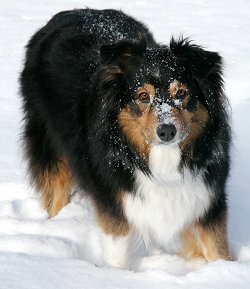 I recommend following all of the advice on my Australian Shepherd Health Page.